MKV Tag Editor is a powerful MKV, MKA, MKS and MK3D tag editor for Matroska container video and audio files. Unregistered version is a fully functional 25 day trial version. 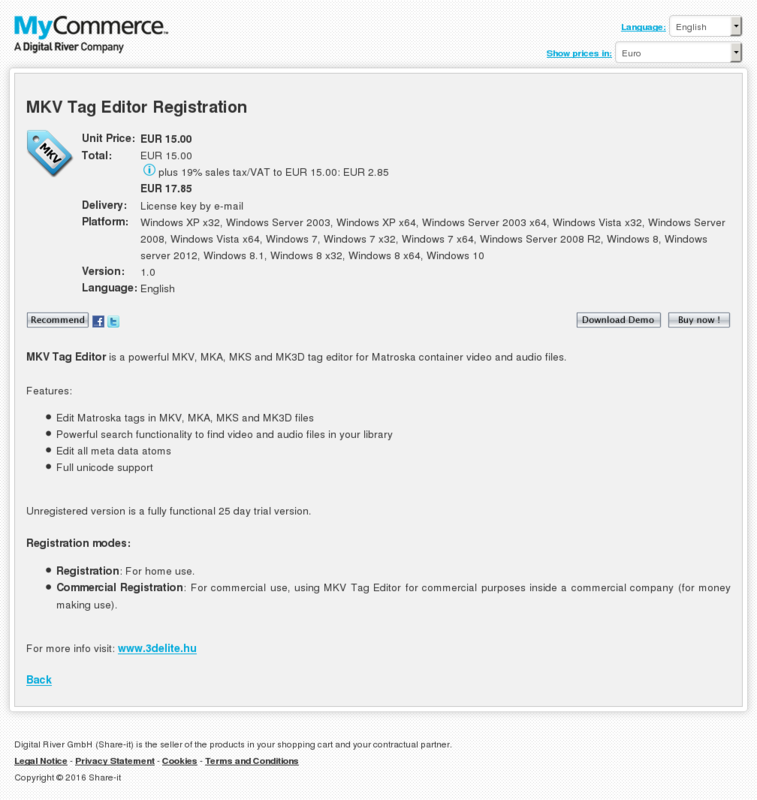 Commercial Registration: For commercial use, using MKV Tag Editor for commercial purposes inside a commercial company (for money making use).